Sunday, January 13, 2013, 3 p.m. Formed in 2003, the Lincoln Trio takes its name from their home, the heartland of the United States, the land of Lincoln. 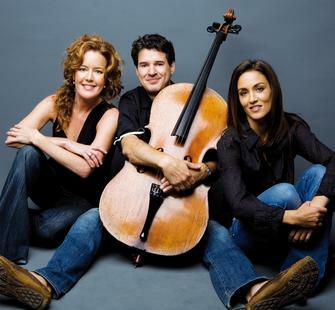 The trio has been praised for its polished presentations of well-known chamber works and its ability to forge new paths with contemporary repertoire. The group’s reputation as a first-rate ensemble draws an eclectic audience of sophisticated music lovers, young admirers of contemporary programs and students discovering chamber music for the first time.